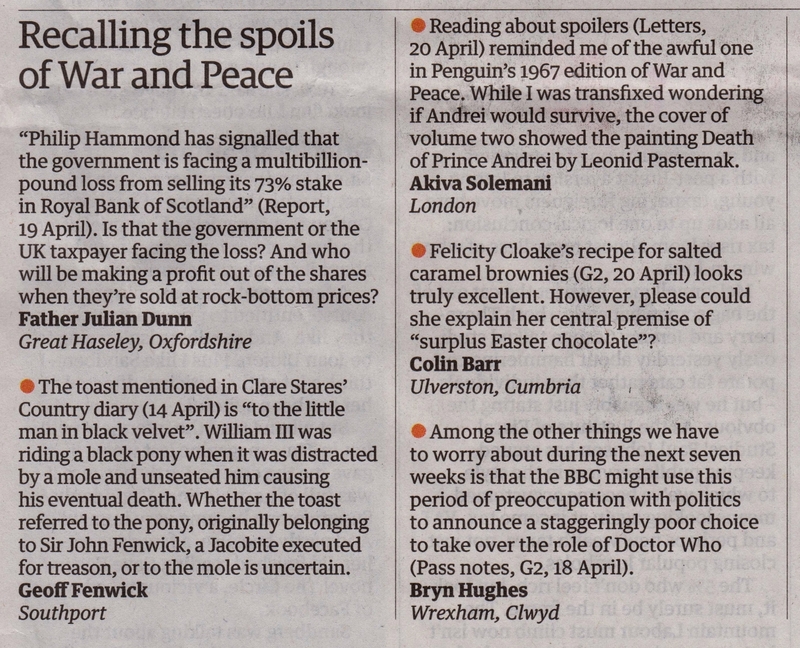 Among the other things we have to worry about during the next seven weeks is that the BBC might use this period of preoccupation with politics to announce a staggeringly poor choice to take over the role of Doctor Who (Pass notes, G2, 18 April). APA 6th ed. : (2017-04-21). A staggeringly poor choice to take over the role of Doctor Who. The Guardian . MLA 7th ed. : "A staggeringly poor choice to take over the role of Doctor Who." The Guardian [add city] 2017-04-21. Print. Turabian: "A staggeringly poor choice to take over the role of Doctor Who." The Guardian, 2017-04-21, section, edition. This page was last modified on 20 July 2018, at 00:16.